A VITAL ROAD MAP TO HELP OUR COUNTRY REGAIN ITS LOST PROSPERITY! In their rousing clarion call against the government’s current fiscal strategies, The End of Prosperity, the authors focused on how lowering taxes will promote economic growth. Now, they detail the other crucial components. Simply put, the keys to prosperity are low, flat-rate taxes; government spending restraint; sound and stable money; free trade; and minimal regulation. This book gives concrete proposals on how to return to prosperity using common sense principles of good economic behavior. 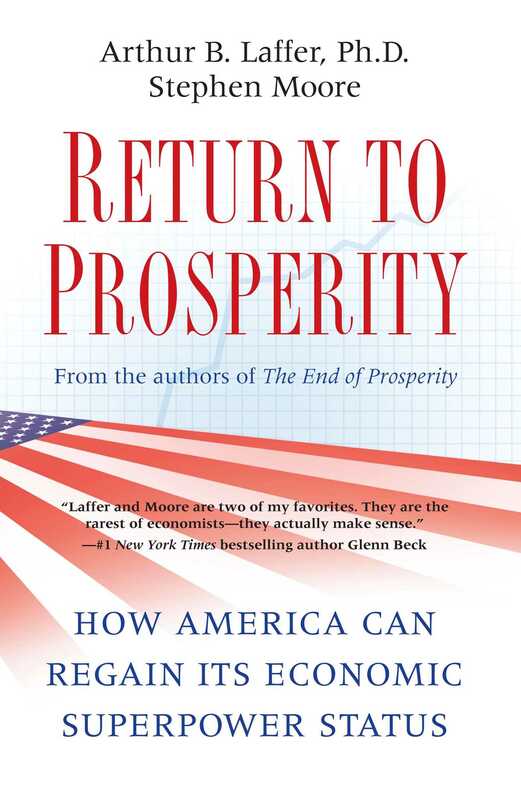 While most of the proposed solutions to our economic decline are fraught with peril, Return to Prosperity provides a refreshing counterbalance—a prescription for the fundamental tools America needs in order to set out on the road to recovery. It is essential reading for anyone who worries that the current economy is faltering, with no clear plan articulated to stop it.